新锐围棋网论坛 - Powered by Discuz! 新锐围棋网»论坛 › 其它版块 › 站务交流 › 首页围棋视频区块有点BUG吧? 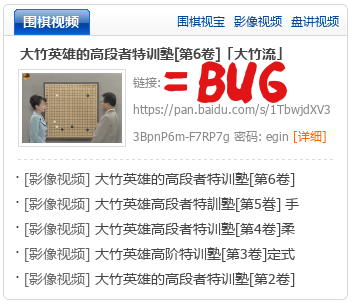 Copyright © 2008-2013 新锐围棋网(http://www.gochess.cn) 版权所有 All Rights Reserved.